It allows you to set up the main information for your site such as Website title, description, copyright, google analytics script, or upload the logos. Choose Engine settings → Settings and you can see them. This section allows you to edit your logos for desktop and mobile versions. 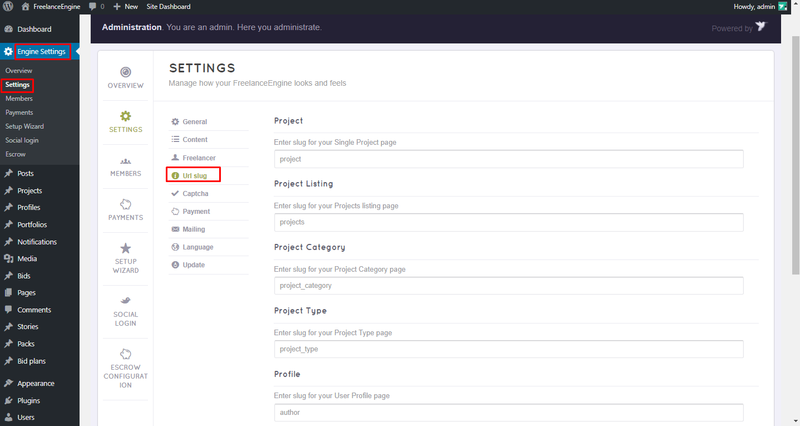 On your WordPress admin site, click Customize → Site Identity. 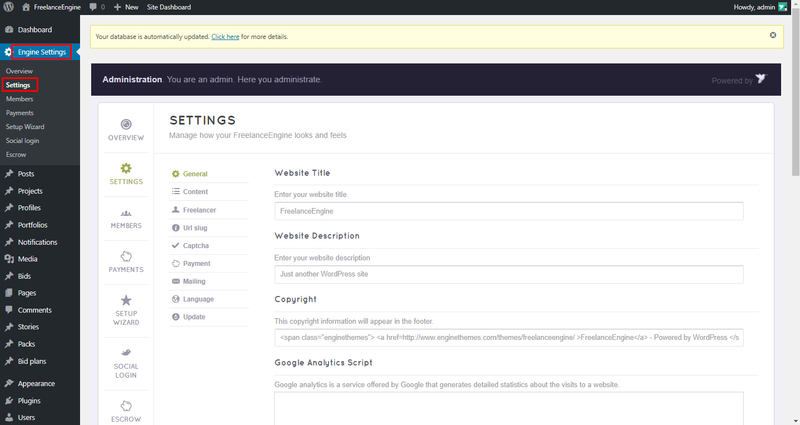 Go to Engine Settings → Settings → URL Slug to create slugs for your site.